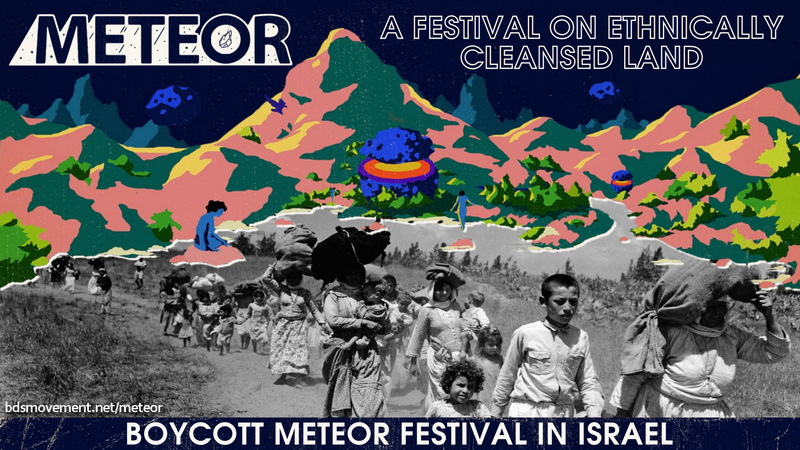 Naranja, the Israeli organisers of Meteor Festival, bring international artists to Israel to serve later as future ambassadors for the country. In 2009, just months after Israel killed over 1,400 Palestinians in Gaza, Naranja worked to “improve Israel's image in Scandinavia”. Naranja say they want Meteor Festival to create an “alternative reality”. The reality for Palestinians is 70-year-old regime of occupation, colonization and apartheid.